In this post, we’ve rounded up the market size of health and fitness apps and mentioned top five features of successful fitness app, FitHouse. This post will help you to get into the world of health and fitness apps. As you may already know the fact that smartphone users have diversified their app usage. When it comes to health and fitness apps, these have become the driving force behind the various health problems like obesity and diabetes. Whether it is physical health or general well-being, there are thousands of powerful mobile apps, which have already created buzz in the health and fitness industry. However, if we’re talking about the health and fitness category in the mobile app, the fitness apps have become one of the vital tools to make people’s lives easier. There’s New York-based fitness startup, FitHouse, which aims to make on-demand workout classes more affordable. 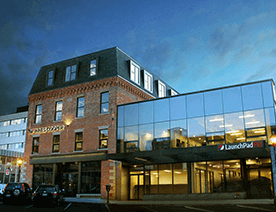 The app, FitHouse, claims to offer unlimited classes at the cost of $99 per month. Before jumping to the main part of this post, which contains the important features of fitness app, we’ve gathered information about the market insights of health and fitness apps, which will help you to know the growth of gym workout apps. As per the report from Flurry, “Health and fitness app usage grew over 330% from the last three years (2015-17)”. Mobile Health and Fitness App Session: The health and fitness app industry is based on app usage. 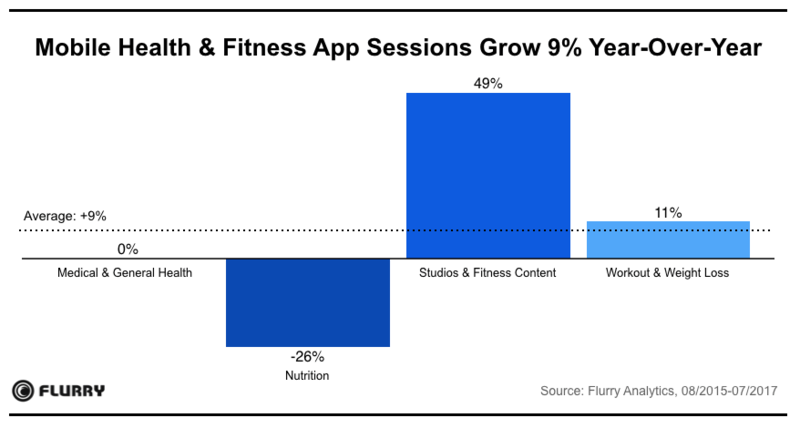 According to the report from Flurry, “Mobile Health and Fitness App Session grow 9% year-over-year”. 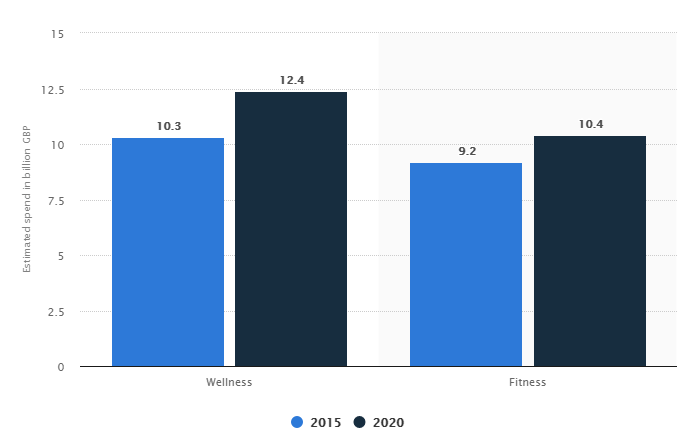 The U.K Market Size of Health and Fitness Industry: In the below image, you can check the estimated time spent on the wellness and fitness in the UK from 2015 to 2020. As per the report from Statista, “The market size is expected to increase from 9.2 billion pounds to 10.4 billion pounds by the year 2020”. 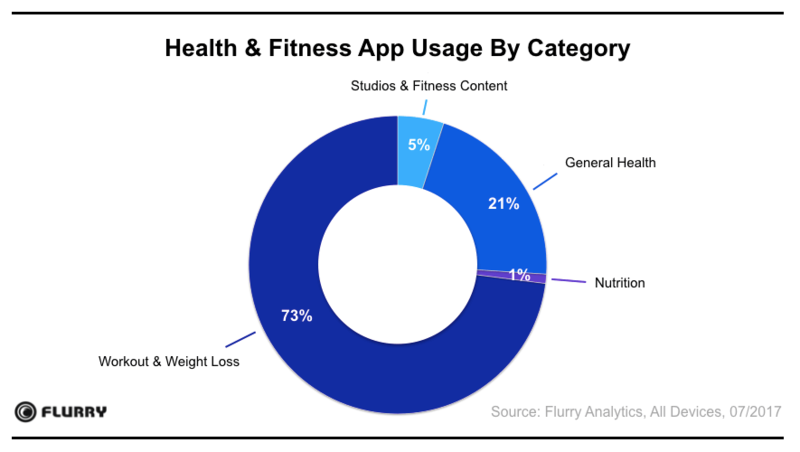 Health and Fitness App Usage Category: If we’re talking about the health category that was the most used category by app users in 2017, the “Workout and Weight Loss” Category was the top among others. 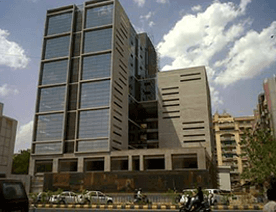 As you can check in the below image. Now, let’s move ahead to our next section, which is all about the top features of one of the best workout apps. To create one of the best fitness apps like FitHouse, there is a core feature, which you can provide your app users is to browse and book workout classes. And, users can also schedule them within the app. It also gives options to app users to select the gym instructors according to their preferences. 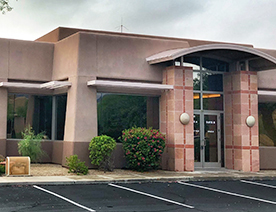 After creating a profile in health apps like FitHouse, it provides the membership program of $99 per month, which includes unlimited workout classes. Providing customized option to app users is a must-have feature of any fitness app. In general, users are more inclined to those apps in which they can filter their searches according to their choices. So, the fitness app, FitHouse allows users to search instructor by the class type such as Yoga, HIIT (High-Intensity Interval Training) and location. However, these options can be varied according to the requirement of the project. So, being a fitness enthusiast, if you’re planning to create a fitness app with a subscription option, then the user account is a must-have feature. Also, it must securely store the billing information. The integrated payment gateway is another sub-feature in the user account, which cannot be neglected. From the last few years, fitness and workout apps have gained huge popularity among fitness enthusiasts. Apart from above-mentioned features, another vital feature is the on-demand workout program that assists users to workout at his/her home only via a workout app. It is a highly recommended feature by us that you can consider to include in the fitness app. Another recommended feature is wearable device integration that allows users to connect the application with their external devices like wearables. 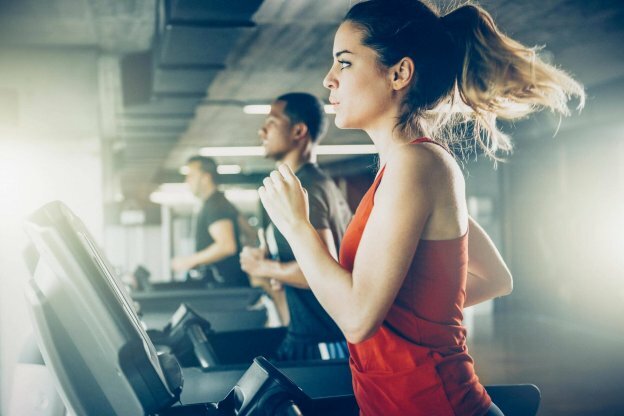 By connecting an app with wearables, users can easily keep track of their activities and exercise routine without any hassle. They can maintain a complete log and compare the data by week, month and yearly basis. 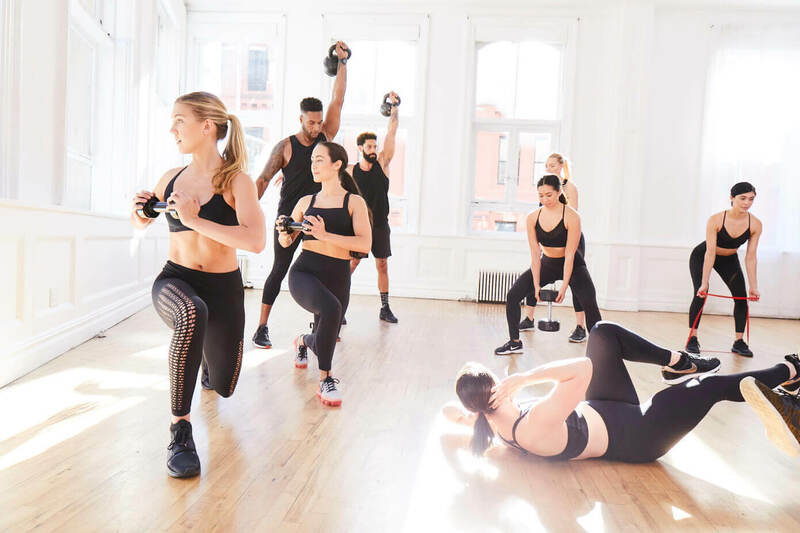 Apart from this, you can also provide your app users with some other exclusive features, which are available in ClassPass. I have a health and fitness app idea, but what’s the right way to cross-verify it? How much does it cost to develop a fitness app like ClassPass and FitHouse? 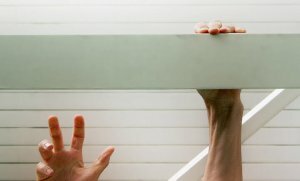 How much does it cost to create simple MVP (Minimum Viable Product) of fitness activity tracker app? No matter how big your list of questions is, we as the leading Android application development company can resolve them and will suggest you with the best-suited technical stack for the project. In case, if you still have any query or confusion regarding health and fitness app development or development cost of creating workout apps for personal trainers, then you can get in touch with us through below given form and our sales representative will revert you within 48 hours. 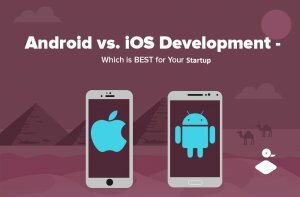 This page was last edited on November 12th, 2018, at 8:19.
iOS Vs. Android App Development: Why App Startups Focus on iOS First?